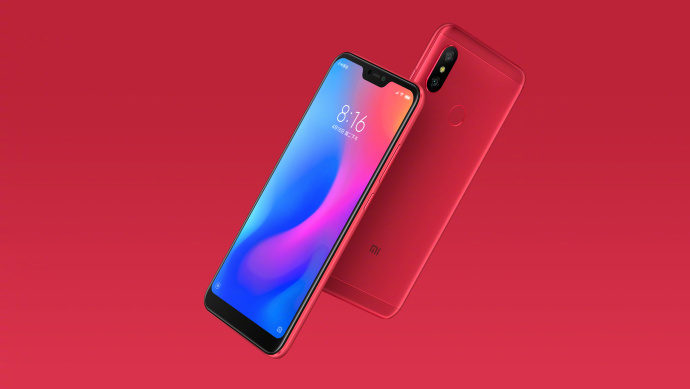 Xiaomi Redmi 6 Pro official renders have been surfaced online in China. They reveal design and color options of the upcoming smartphone ahead of its launch on June 25. 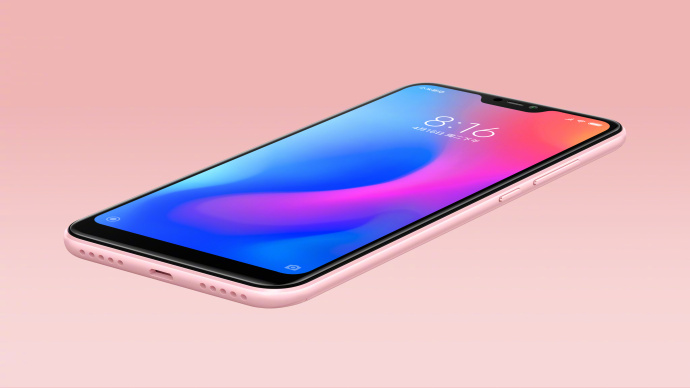 The new series of official renders show that the back of the smartphone has a metal finish, and the front features a notch display similar to the iPhone X.
Xiaomi‘s official Redmi Weibo account posted the renders of the Redmi 6 Pro. The phone will come in multiple color options including Rose Gold, Sand Gold, Lake Blue, Black, and Flame Red. The design of Redmi 6 Pro is also confirmed featuring a 19:9 display, and it is in-line with the formal renders which were previously surfaced on a TENAA listing. The Redmi 6 Pro will be the top model in the new Redmi 6 series that includes the Redmi 6 and Redmi 6A. As per the previous reports, the Redmi 6 Pro will sport a 5.84-inch FHD+ display with a 19:9 aspect ratio. It is rumored to be powered by a Snapdragon 625 chipset and will come with 2GB, 3GB, and 4GB RAM options. Also, there will be 16GB, 32GB, and 64GB of onboard storage options with expansion support via microSD. Further, for imaging, the handset could sport a dual camera setup at the back with a 12-megapixel primary sensor and a secondary sensor. There will be a 5MP camera at the front. The Redmi 6 Pro is likely to run Android 8.1 Oreo with MIUI 9 on top and could also receive MIUI 10 update sometime later. Connectivity options will include 4G LTE, Wi-Fi, Bluetooth, GPS, IR Blaster, 3.5mm audio jack, and a MicroUSB 2.0 port which is confirmed by the official render as well. The Redmi 6 Pro will be powered by a 4,000mAh battery. It will also sport a back-mounted fingerprint scanner. Xiaomi has confirmed the launch date of Redmi 6 Pro and it will be unveiled on June 25 in China. Alongside Redmi 6 Pro, the company will also launch the new Mi Pad 4 Android tablet.